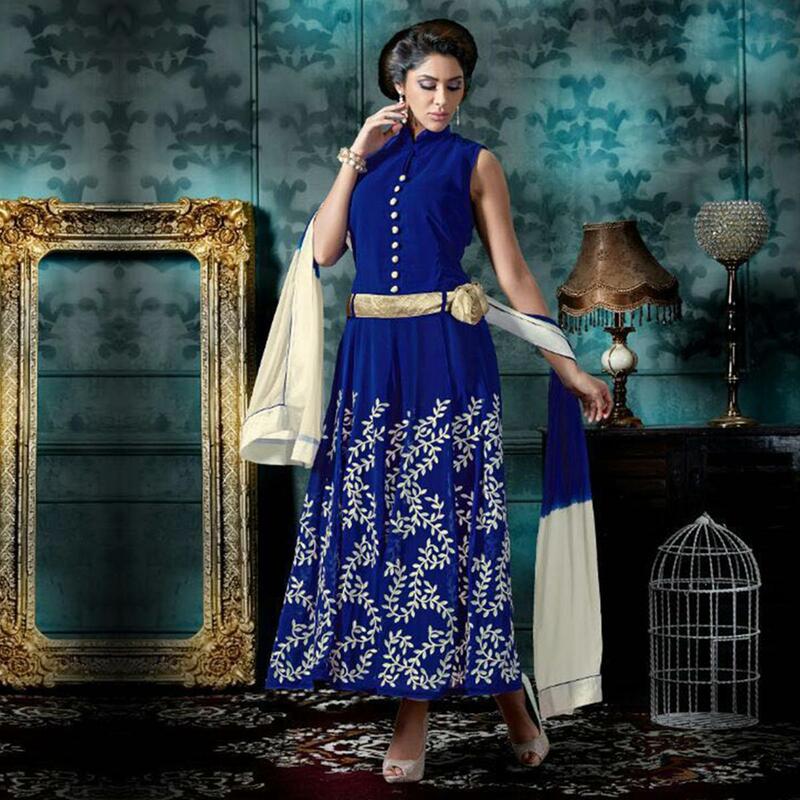 This amazing blue anarkali salwar suit is sure to give you a charming look. This semi stitched suit is adorn with contrast colored embroidery work below the waistline. This designer suit is sure to offer you a perfect ethnic look for your next parties or functions. This suit comes along with a bottom & dupatta.